My heart goes out to everyone who walks in my office for the first time. I can only imagine what each person must be wondering. Will I have to tell this stranger everything? Will she shame me? Is this going to be one more failed conversation about everything I’m doing wrong? What if things just get worse? What I see is intense bravery and a commitment to each other and to healing what hurts. That’s impressive. What you can expect is to come into an office that looks like a comfortable living room. The atmosphere is a peaceful one where I use all of my training and clinical experience to work with you to understand how you’ve gotten where you are so that you can start to heal each other and get back to the safe relationship you need. We’ll start by talking about what you are hoping will happen as a result of being in a therapists’s office, and I’ll take notes that you can see anytime. We’ll be working as a team. You’ll leave with an education about yourself and your partner as well as a wealth of information about the best and latest research related to healthy relationships. To set an initial appointment for therapy or to inquire about speaking engagements, please email carol@healingforcouples.com. 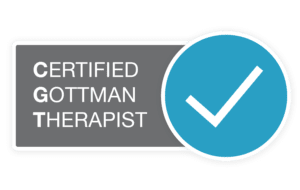 To participate in Seminars and Gottman Therapist training, click here. Dr. Stoney’s office is conveniently located off of Highway 27 in the historic Southern Saddlery Building at 3085 South Broad Street between downtown Chattanooga and Lookout Mountain. Turn off of Broad Street onto West 31st Street to go behind the Southern Saddlery Building until you reach the last parking lot. The parking lot is circular, and you should see an office sign beside the door into the building. Dr. Stoney’s office is located on the second floor in Suite E.